The Narcisse Snake Pits are located 6 km north of the rural settlement of Narcisse in the province of Manitoba in Canada. 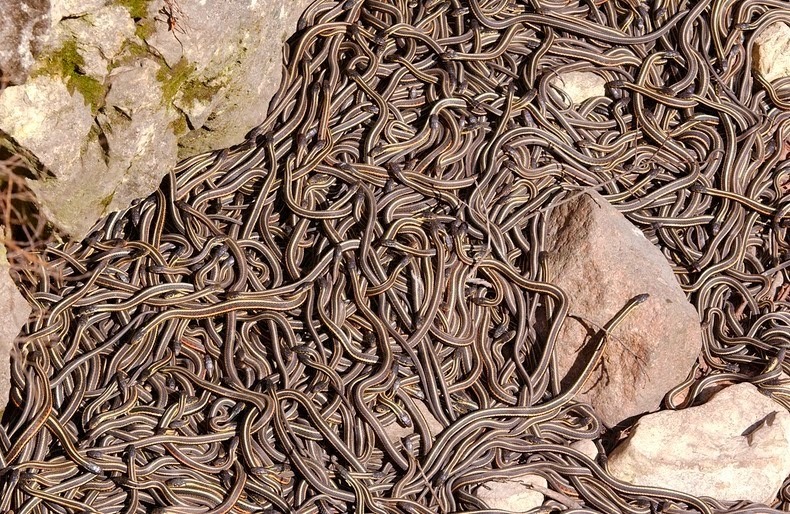 These pits harbour the largest concentration of Red-sided Garter Snakes in the world. During winter, the snakes hibernate inside subterranean caverns formed by the area's water-worn limestone bedrock. Shortly after the snow melts in late April and early May, tens of thousands of these snakes slip out of their limestone dens and hang out on the surface of the ground performing their mating rituals in great tangled heaps.